MORGAN HILL, Calilf. -- A trial has been delayed to next month for a man charged with kidnapping and murdering 15-year-old Sierra LaMar nearly four years ago. Antolin Garcia-Torres, now 25, is accused of killing Sierra, who was last seen on the morning of March 16, 2012. She left her home in unincorporated Morgan Hill and never showed up to her bus stop for school. Garcia-Torres' trial was scheduled for today but Santa Clara County Superior Court Judge Deborah Ryan continued the case to May 23 for his defense attorneys to submit additional evidence for testing. Garcia-Torres withdrew his waiver for a speedy trial within 60 days, his defense attorneys said. Santa Clara County Deputy District Attorney David Boyd told the judge that prosecutors were prepared to proceed with the trial during today's hearing at the Hall of Justice in San Jose. Sierra's Juicy-brand purse and clothes were found two days after she went missing and her cellphone was later discovered in an agricultural area south of San Jose. Garcia-Torres was identified as a suspect in the death on May 21, 2012, after Sierra's DNA was found in his red Volkswagen Jetta, prosecutors said. The 25-year-old man, who remains in custody at Santa Clara County Main Jail in San Jose, is facing the death penalty in the case. 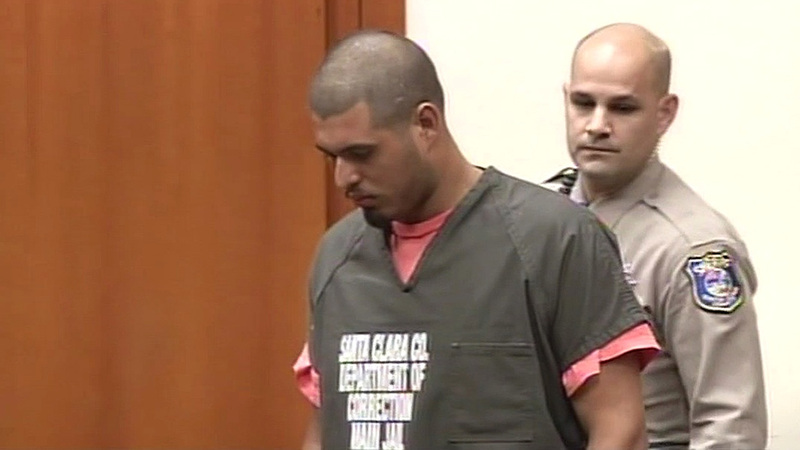 A grand jury indicted Garcia-Torres in 2014 on charges for Sierra's disappearance and death, in addition to kidnapping and carjacking charges involving three women in Morgan Hill supermarket parking lots in 2009. Sierra's body hasn't been found despite numerous organized search groups through southern Santa Clara County. Roger Nelson had helped coordinated the search efforts, which ended last year, and was present during today's hearing. Nelson, along with a handful of other supporters of the LaMar family, said outside of court that they were bothered the trial was continued to a later date, but look forward to justice being served. Debbie Nunes, a search volunteer who lived down the street from Sierra's bus stop, said after today's hearing that the community would like closure in the case. "The family deserves answers and it's been four years too long," Nunes said. For more stories about Sierra LaMar, click here.